We're excited to announce the arrival ofMyComplianceOffice 9.0, the newest release of our easy-to-use online compliance solution. In addition to many new features and updates, 9.0 contains Deal Review Manager (DRM), a new module that helps firms manage deals/opportunities and the flow of any related Material Non-Public Information (MNPI). This new module allows users to review investment banking deals, evaluate potential conflicts, define the associated restrictions, as well as capture the compliance review for auditing, regulatory and reporting needs. It can also audit the communication by the control room/compliance review team to the deal team members, including required disclosures. 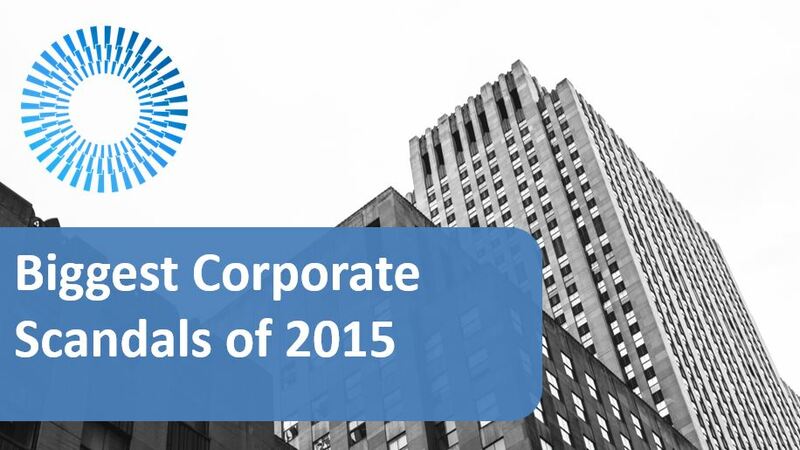 At MCO, we help companies, of all sizes, address Employee Compliance with affordable, easy to use, and integrated technology. From understanding employee transactions to gifts and entertainment activities - and everything in between, MyComplianceOffice 9.0 gives you the flexibility you need for today's complex regulatory requirements. 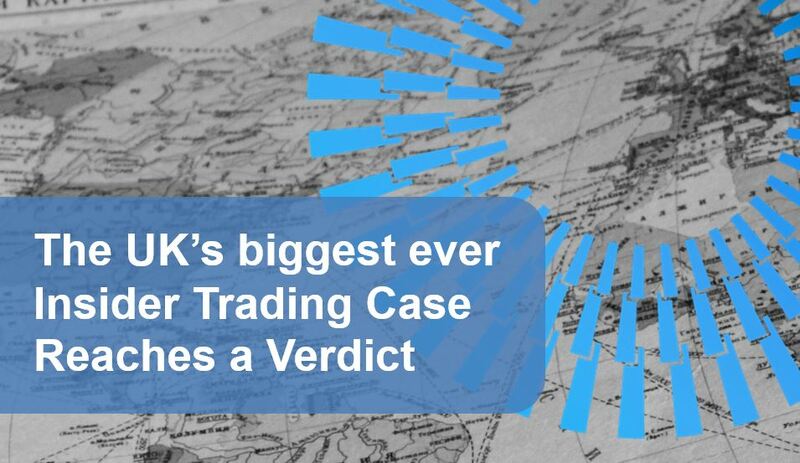 This Monday saw two men, Martyn Dodgson and Andrew Hind found guilty of insider trading after a four month trial in what is Britain’s biggest ever insider trading case. 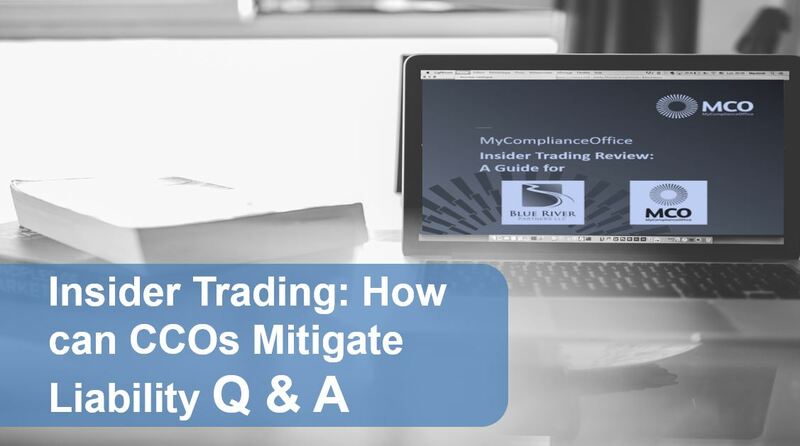 Brandon Ortiz, Managing Director at Blue River Partners LLC co-hosted a webinar on insider trading with MyComplianceOffice on February 17th. The following is a transcript from the Q&A portion of the February 17th webinar. MyComplianceOffice in partnership with Blue River Partners LLC will host an educational webinar on Wednesday, February 17 at 12 pm EST. 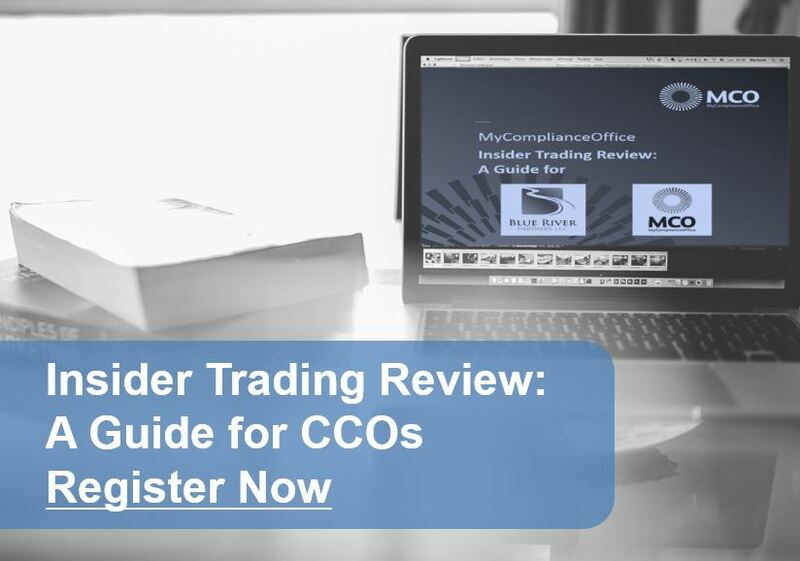 The webinar, to be co-presented by Brandon Ortiz, Managing Director at Blue River and Nancy Chilcote Director, Sales at MyComplianceOffice, will be the second in the 2016 webinar series from MyComplianceOffice.